"Singapore is a small island city nation of 4.5 million blessed with abundant rain and sun and thus bountiful nature. We have a developed economy but still manage to preserve a good portion of land as nature reserves, parks and greenery. There are large numbers of terrestrial and aquatic species. With the Green Map we wanted to raise public awareness about the abundant nature we still had and to overturn the view that Singapore is a concrete city with nothing green left to save. 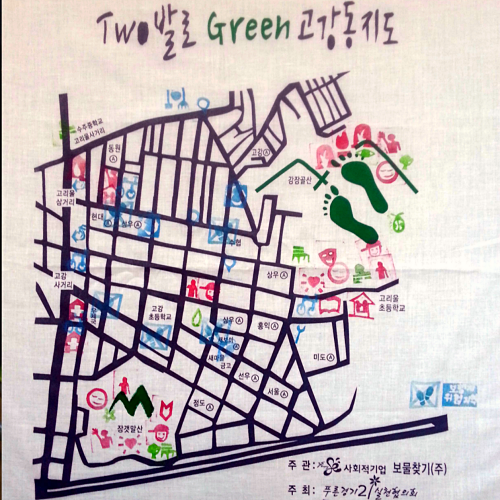 The effect of the Singapore Green Map is probably more indirect than we imagine. 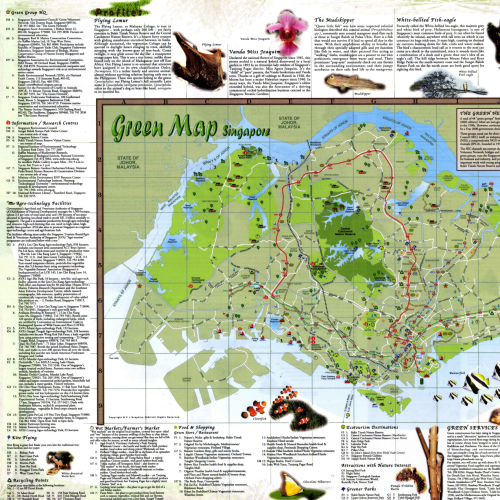 Instead of directly creating a class of green minded citizens the Singapore Green map probably helped to convince some people that conservation is indeed a worthy weekend activity. By getting people to go outdoors to appreciate nature and exposing them to the natural resources we have, fewer people dismiss the environment as something invisible".
" A collaboration among Junior Colleges, Centralized Institute and IP schools in the making of a Green Map of Singapore, the 2016 Advanced Level Geography Syllabus will be providing students with an in-depth study of Sustainable Urban Development. This project invites A level Geography students and teachers to collaborate in the making of an Open Green Map of Singapore. 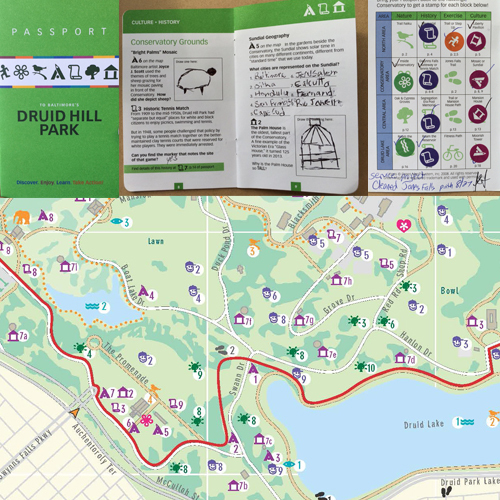 Such a map, when completed will provide both educators and students with a useful information about how sustainable and livable Singapore is. • Green: Development preserves greenery, waterways, and natural heritage"
Check out the video above for an exciting update from SEC! Established in 1995, the Singapore Environment Council (SEC) is an independently managed, non-profit, non-government organization, and institution of public character that nurtures, facilitates and co-ordinates environmental causes in Singapore.